MOULDING EXPO Where the industry gets together! Since 2015 tool construction, pattern and mould making has a new trade fair home: The top exhibitors of the branch present the best the European tool construction, pattern and mould making industry and suppliers' technologies has to offer – at first hand, with passion, soul and enthusiasm. Look forward to an industry get-together which provides new business opportunities to your company. Aeromart Nagoya provides a platform for players in the aerospace industry to develop global business and learn latest market trend. 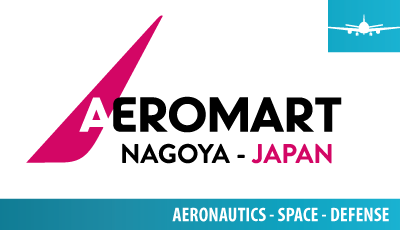 Amid expansion of Japanese aerospace industry, Aeromart Nagoya is a great opportunity to make new business connections and strengthen existing ones in Japan! This is not a traditional show: Aeromart Nagoya is a BtoB meetings focused on aerospace supply chain. F. Zimmermann GmbH has brought its first horizontal machining centre onto the market.